Comes with 12 textured massage attachments. 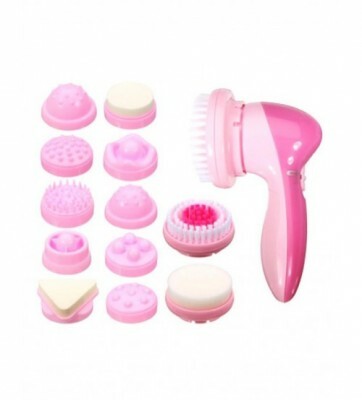 The brush massage attachment is for cleaning facial pores. 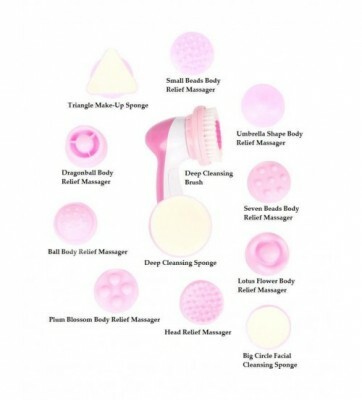 The sponge massage attachment is for cleaning facial surface. The frosted massage attachment is for removing the dead skin. The microfiber massage attachment is for both facial and body part. This set is great for removing the dead skin of your hands and feet. Smoothes callous and remove dry skin on face, body, softly exfoliates the outer. Epidermal layer of your skin on dull skin cells.